Over the years of writing this newsletter there have been a few instances where my use of a certain word, turn of phrase or even one of my protologisms or neologisms have come back to haunt me. Attaching the adjective gregarious to Asaf Paz in my Binyamina newsletter back in January 2011 was one such instance. For some reason, despite being completely accurate and totally complimentary, Asaf and others ribbed me for years over the use of the word, during his remaining time at Binyamina through a short stint as Segal’s and even during my recent visit to his current gig as co-owner and winemaker of Vitkin Winery, the topic of this week’s newsletter. While its recent relocation may throw you off, the winery carries the name of the eponymous village where it was founded in 2002 after a non-commercial 2001 vintage where less than 300 bottles were made and shared among friends and family. The village itself is named for Yosef Vitkin, whose moving appeal in 1905 was hugely influential on encouraging thousands of young Eastern European Jews to move to the land of Israel and who constituted a huge part of Israel’s influential Second Aliyah. The origins of Vitkin go back to the mid-1980s when Doron Belogolovsky’s business as a stone and marble dealer caused him to spend a significant of time in Italy where he was first exposed to and fell in love with the deep-seated local wine culture, an anomaly to Israel’s then non-existent one. Fast forward a few years after Doron had returned to Israel and married Sharona who just happened to have a younger [and gregarious] brother whose love for the culinary arts was evident from his early days as a baker through his undergraduate years studying food engineering at Hebrew University’s agricultural school in Rechovot before, luckily for us, shifting gears to focus on winemaking. His first stop was in Bordeaux, where he obtained a master in winemaking and, through friendships with Spanish students, was first exposed to the beauty of esoteric varietals. Following graduation, Asaf apprenticed at various Bordeaux wineries (including Pontet Canet in 2000, which enabled him to subsequently help assuage the winemaker’s doubts with respect to the difficulties in making a kosher cuvee- just another thing we should thank him for! ), before leaving the cozy Old World behind and heading to California and Australia to expand his winemaking expertise with some top notch New World winemaking. Whether by nature or nurture, surrounded by so much love, interest and knowledge in wine, Sharona took the plunge and immersed herself in the wonderful world of wine as well (which has served her well as CEO of Vitkin, responsible for all non wine-related matters). During a brief stint with the Belogolovsky’s, Asaf’s passion for winemaking and Doron’s love of wine kindled the idea of a collective winery which rapidly materialized into the initial 2001 vintage (which ironically as you will soon see, was made from 100% Cabernet Sauvignon sourced from a Golan Heights vineyard with the help of Asaf’s old boss from his baker days. Doron made the wine with Asaf providing constant advice and oversight from 6,000 miles away where he was interning in California’s Anderson Valley Navarro Vineyards. With a successful mini-vintage under their belt, the duo turned to Asaf’s true love for the winery’s first commercial vintage in 2002, leaving the Cabernet Sauvignon behind and turning to what would be the winery’s focus – Mediterranean and varietals being under-utilized in Israel, with the first bunch including Carignan, Petite Sirah, Cabernet Franc and a true novelty – a dry Muscat. With Doron learning on the job and Asaf providing constant support, advice and technical expertise, within a year or two it became obvious that they had something real going and Sharona joined the team for the 2003 vintage which was also when they upgraded to a “real” facility, with top notch equipment as well. With an architectural day job, Sharona was placed in charge of building the winery and after multiple visits to wineries throughout France and Italy, Sharona set her sights on the Belogolovsky family barn (mostly abandoned since the early 70s) as the site for their new winery. Dating back to the 1930s, the barn was built by Doron’s grandparents who were among the founders of Kfar Vitkin. Utilizing all her technical expertise and creative juices, Sharona converted the former barn into a fully functioning commercial winery, with the newly acquired modern-day winemaking equipment replacing the Zionist-era milking facilities. From the winery’s inception until leaving his day job at Segal in 2014, Asaf juggled his winemaking day jobs at Tishbi, Carmel, Binyamina and Segal with a full-time second day job at Vitkin where he partnered with Doron in producing top-quality wines that rapidly won over much of Israel’s wine cognoscenti. Launched amid the second coming of Israeli boutique wineries (following the first wave from the early 1990s), Vitkin immediately stood out among the other wineries representing the second wave of Israeli boutique wineries. Beyond the quality winemaking, humility and obvious pride in their product, the trio of Doron, Sharona and Asaf had made a conscious effort to focus on varietals they felt were most suited for the hot Mediterannean climate Israel is renowned for while ignoring the more popular Bordeaux varietals the general wine-consuming public seems to crave so much. While these days, phrases like Mediterranean varietals and winemaking have achieved near cliché-like status due to their overuse, Vitkin was truly a pioneer of this approach utilizing cast-off Israeli varietals like French Columbard, Carignan and Petite Sirah from day one, remains a firm believer in its values and continues to push the concept forward with every vintage. They also felt that the commercial viability of a boutique winery with all its accompanying cost saving related inefficiencies shouldn’t be predicated on the Cabernet Sauvignon, Merlot and Chardonnay produced by all the large commercial wineries in mega quantities and across multiple qualitative levels (and price points). In addition to focusing on so-called Mediterranean varietals, Vitkin also produces wines from decidedly non-Mediterannean varietals like Pinot Noir and Riesling. However, different from most Israeli wineries experimenting with these grapes, Vitkin avoids the usual pitfall of styling them after their country of origin (Burgundy and Germany respectively) and infuses them with a healthy dose of Israeli character, taking into consideration the significant differences in climate and yielding delightful results. Taking their responsibility to the continued development of Israel’s wine culture seriously, the folks at Vitkin revel in their ability to produce quality wines that push the envelope and innovate in creative ways. One example is their entry level blend that includes French Columbard, Viognier, Grenache Blanc and Gewürztraminer (depending on the vintage year) that sits under the “Israel Journey” label and represents for them a combination of Israel’s old (French Columbard having a long and inglorious past among the annals of Israeli winemaking history before its rebirth as a quality grape with Recanati, Mia Luce and Vitkin among those making nice stuff from the grape) and new (Viognier and Grenache Blanc are both relatively recent olim to Israel). The winery’s penchant for going against conventional wisdom isn’t limited only to their winemaking choices. Starting with founding the winery in 2002, widely acknowledged as one of Israel’s poorer vintages, like most Israeli wineries Vitkin realized that in order to continue their growth trajectory they needed to convert to making kosher wines. However, unlike most wineries, they decided to do so in the worst year ever – a Shmittah year. With kosher wine’s biggest market (the US) generally avoiding Shmittah-year wines and the largest importers refusing to import it, it’s typically not the best year to launch your kosher vintages. But like Sinatra, Asaf “did it his way” while achieving plenty of success, if not quite [yet] at Sinatra’s level. While the 2015 Rose and white were available in the us that was prior to signing with Royal who don’t bring in Shmittah wines so none of the 2015 red wines will be coming here. On the bright side, I now have some additional good wines to add to my “Only in Israel” page, which needs updating. Other than a small vineyard in Kfar Vitkin which allows for experimenting with new varietals and the area’s micro-climate and a couple of rows of experimental vines growing outside the winery, Vitkin doesn’t own any vineyards. Rather, similar to most Israeli wineries, they have long term leases that provide it total control over the planting, caring for and harvesting of the vineyards. Vitkin sources its wines from vineyards spread across the country starting with the Golan Heights and Upper Galilee in Israel’s North down to the historic Zichron Ya’acov area all the way to the burgeoning premium wine region of the Judean Hills. Despite the less than attractive surroundings, the winery is lovely and well worth a visit. It includes the winery, barrel room, tasting room and visitor center. While professional, the family’s work is recognizable everywhere from the bar top Doron made and installed through the chairs made from old barrel staves and produced by Asaf and Sharona’s dad – Avraham – whose post-retirement job as a cellar rat is hugely becoming. The winery currently produces 10-12 wines annually split among three labels and about 110,000 bottles of annual production. Its entry level series is name Israel Journey and represents their interpretation of the evolution of winemaking in Israel over the years. The series includes three wines – a rosé made from Grenache with a bit of Carignan giving it a little more depth and bite, white blend of Grenache Blanc, French Columbard and Gewürztraminer and a red blend of Carignan, Cabernet Franc and Marselan. Other than its flagship Shorashim blend which was launched in 2006 and will hopefully make its first kosher appearance for the 2016 vintage (Asaf will decide in a few months based on how the barrels are developing), all the remaining wines sit in their eponymously-named premium-level Vitkin series of single varietal wines. This series includes three special edition wines which are only released in special vintage years – Grenache Blanc, Gewürztraminer and “regular” Grenache (or Grenache Noir) which is typically supplemented with a pinch of Marselan. The perennial wines in the series are Riesling (made in partnership with the German winery Georg Mosbacher, well versed in Riesling magic and one of the reasons there is no 2016 Riesling as it didn’t fit the profile the winery is aiming for), Pinot Noir, Carignan, Cabernet Franc and Petite Sirah. Asaf’s love of dessert wines is well documented with his being behind Carmel’s late harvested Sha’al Gewurztraminer and Binyamina’s similar wine he created while there. 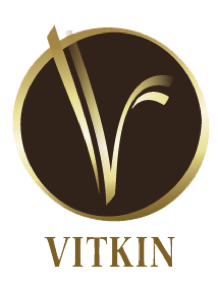 Historically Vitkin had a whole line showcasing his love of the genre (with a focus on the German style as opposed to that of Sauternes). While he hasn’t made any kosher versions yet, hopefully the right conditions will come along soon and we will be blessed with some more great dessert options as well. Listed below are the latest wines I have tasted and, while most can only be ordered direct from the winery or sourced from wine shops in Israel – take my word that they are worthy of your efforts and I look forward to hearing how you enjoyed them! Vitkin, Israel Journey, Pink, 2016: After a tremendous inaugural kosher launch in 2015, Asaf does justice to his brand by releasing another delicious rose, once again combining the winery’s top tier Carignan with Grenache Noir to achieve a rich and robust beast of a rosé that pleases. Both vineyards are located on the slopes of Mount Carmel, dry-farmed and pruned goblet-style. Lovely nose of flinty minerals, ripe strawberries, cherries, blooming white flowers, slightly bitter herbal notes and some stone summer fruits sets the stage for a medium to full bodied palate loaded with more of the same alongside some earthy notes, hint of blue fruit and lovely citrus notes. Copious acidity and a savory saline streak that adds complexity make the wine stand out, even if it isn’t on the same level as the 2015 version. Asaf’s meticulous adherence to quality is easily noticeable as he once again produced a unique and elegant wine. Kudos my friend! Vitkin, Israel Journey, White, 2016: A blend of around 30% old vine French Columbard, 20% each of Grenache Blanc, Roussanne and Viognier with a pinch of Gewurztraminer thrown in for some extra seasoning. 7-10% of the Grenache Blanc, Viognier and Roussanne each underwent barrel fermentation and oak aging for a few months in 500 liter neutral oak barrels, while each component aged on its lees for a few additional months before being blended and bottled as the final blend. A lovely and fresh aromatic nose of blooming white flowers, tart green apple, bitter herbs and gobs of lovely lime, lemon and other citrus notes along with undertones of tropical fruit and white stone fruit introduces this lithe and refreshing wine. The light to medium bodied palate is clean and elegant with lovely acid keeping things lively and a nice mineral backbone giving the fresh fruit a welcome whiff of sophistication. 12.5 AbV. Drink now through 2018. Vitkin, Israel Journey, Red, 2015: Primarily (60%) Carignan with the rest of the blend an equal mix of Grenache and Syrah with a dollop of Cabernet Franc. A lovely nose of primarily red fruit with some black plum notes and bramble adding to the wine’s appeal also yields notes of roasted Mediterranean herbs and bell pepper, lavender and some subtle earthiness. The medium bodied palate is well balanced with good acidity and a tight tannic structure that bodes well for the wines short-term future and nicely showcases Asaf’s individual style. A great “food wine” which clocks in at 12.8% AbV, the wine spent 10 months aging in 3-year old oak barrels before being released. Drink now with ½ hour of air through 2019. I also tasted the 2016 which should be released in 2-3 months but due to bottle shock, will need to re-taste before publishing an “official note, but with a rich and voluptuous note and palate, despite being the same blend as the 2015, it is reflective of a warmer vintage and will be very enjoyable to most [The 2015 is Only in Israel / Shmittah]. Vitkin, Vitkin, Carignan, 2015: While Cabernet Franc has potential to be an “Israeli Varietal” (see below), the historically maligned Carignan is already there with many terrific options being made throughout Israel these days and I am happy to report that Vitkin’s version can be added to the list. 100% old vine Carignan that was dry-farmed and spent 16 months in 30% new, primarily 500 liter oak barrels, which enabled the wine to benefit from the tannic structure without absorbing to much wood flavors and aromas that would interfere with the grape’s uniquely delicious characteristic notes. Rich dark red fruit, bramble, minerals, tart raspberry all meld together on an attention-grabbing nose while the dense and extracted full bodied palate is rich, complex and evolved, yielding multiple layers of notes as it slowly unwraps itself over a few hours in your glass. Give the wine at least 12-18 months and then enjoy through 2022 [Only in Israel / Shmittah]. Vitkin, Vitkin, Petite Sirah, 2015: Sourced from 45-year old vines located in the Judean Hills, the wine is rich and generous without yielding to the temptation of too much ripeness. Currently showcasing rich back fruits along with spicy oak, earthy minerals, sweet spices and a hint of flowers in the background on a dense and full bodied palate and lingering finish that goes on forever. Approachable now, Asaf believes the wine will “shut down” shortly and go into hibernation for 2-3 years before coming back for air and showcasing the rich and generous being it was meant to be. I see no reason to disagree and would recommend waiting at least until 2019 before cracking a bottle which should then cellar through 2026 [Only in Israel / Shmittah]. Vitkin, Vitkin, Pinot Noir, 2015: With Asaf’s undeniable expertise combined with Pinot Noir grapes sourced from the same Ella Valley area as the eponymous winery sources its own highly successful Pinot Noir, it is no surprise that Vitkin makes one of the few well-regarded Pinot Noir wines in Israel that reflect the varietal with an Israeli twist. A relatively limited quantity of 3,500 ensures that the wine sells out pretty quickly and for good reason. 100% Pinot Noir which spent 10 months in 20% new French oak and which a third of the production was harvested early to ensure sufficient acidity and avoid the overly-aggressive tannins the grape develops as time goes on. With a lovely ripe red cherry-berry nose enlivened by pungent earthy minerals and a slightly bitter green streak present in many of Vitkin’s red wines which, as with this one, is nearly always to a pleasing effect. Medium bodied, the wine is still a little wild and needs some time to settle down, but once it does will be an immensely enjoyable, albeit atypical, Pinot Noir. 13.2% AbV. Drink 2018-2020 [Only in Israel / Shmittah]. Vitkin, Vitkin, Series, Cabernet Franc, 2015: As many readers remember, I was a huge proponent of Cabernet franc for many years, believing it to have great potential as one of “Israel’s Varietals”. While I continue to feel that its characteristics are tailor-made for Israel’s terroir, recent years have yielded a disappointingly few number of worthy versions, likely a result of the wine’s failure to catch the general consumers favor. However, after tasting Vitkin’s version I am ready to become a believer again. While richer and deeper than many of its peers and without the traditional green overlay, the wine is easily recognizable as a Cabernet Franc and Vitkin’s style is just as easily identified when tasting the wine. With iodine, roasted meat, earthy minerals and crushed red and black forest fruit all coming together in harmonious balance, the wine backs them up with the 15 months it spent in 40% new French oak barrels yielding chewy and powerful tannins that provide great structure for the wine to continue to develop along with notes of cedar wood, tobacco and fresh-brewed espresso. I’d give the wine at least 12 months before opening (or at least 2 hours in a decanter), after which is should drink comfortably through 2023, maybe longer [Only in Israel / Shmittah]. Vitkin, Collector’s Edition, Gewürztraminer, 2016: 100% Gewürztraminer sourced from the Upper Galilee and limited to ½ hour of skin contact while also being one of the few Israeli versions to be bone dry. The wine showcases characteristic Gewürztraminer notes of spice, lychee along with ruby red grapefruit, lemon and rich fruit. The medium bodied palate has much of the same and leads into a spicy finish that reminds you where the wine’s origins are. 13.5% AbV. Drink now through 2019. Vitkin, Collector’s Edition, Grenache Noir, 2015: An extremely limited run of 600 bottles, the wine represents a true labor of love for the winery. Sourced from the same vineyard as the 2015 rose, the vines are pruned goblet style which is well suited for Israel’s hot Mediterranean climate. A rich, deep dark purple nose showcases highly concentrated black forest fruit with some sweet strawberry and tart raspberry toning things down a bit, floral notes, a hint of white pepper and some earthy truffles. The full bodied palate has plenty of the same notes along with great acidity and robust tannins providing great structure that holds up the rich and voluptuous palate. A delicious and lovely wine and well worth fighting for a few bottles. 13% AbV. The can be enjoyed now with an hour or so of decanting but I’d give it another 6-12 months before enjoying through 2022, maybe longer [Only in Israel / Shmittah].